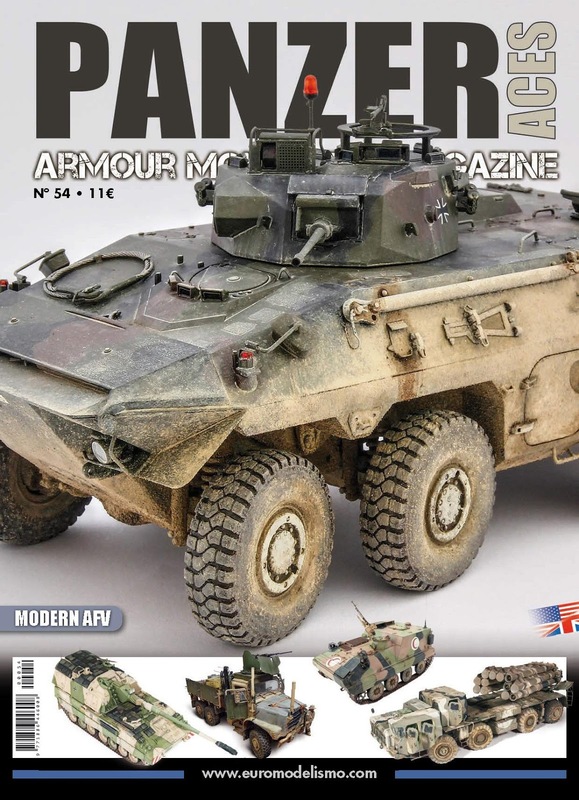 The Modelling News: Read n’ Reviewed: Panzer Aces #54 "Modern AFV"
Read n’ Reviewed: Panzer Aces #54 "Modern AFV"
Panzer Aces is obviously a publication aimed at armour modellers and today we look at issue #54 which has a particular focus on Modern AFV’s. 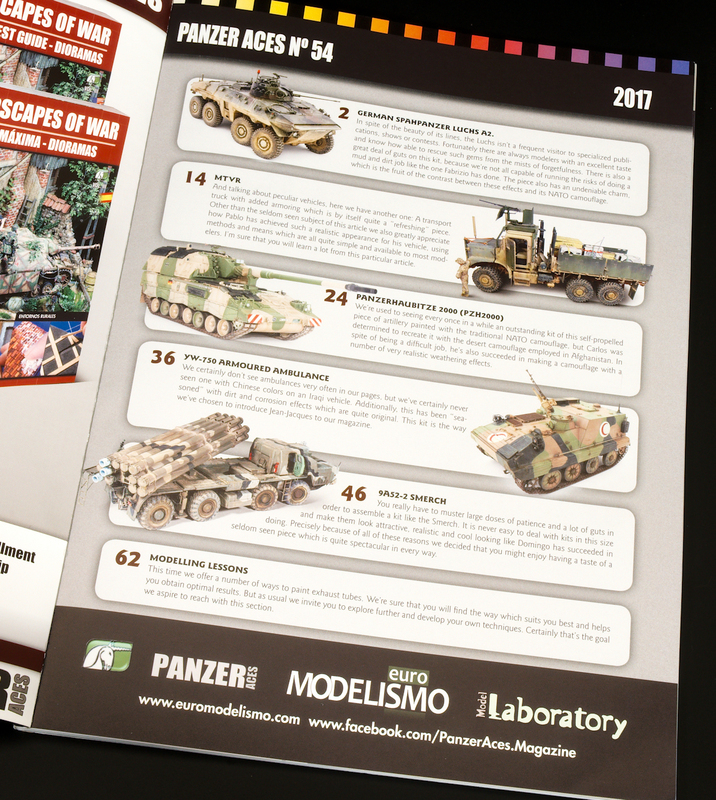 The magazine comes in its usual A4 portrait softcover format, and the cover gives a preview of the five models presented in this magazine. 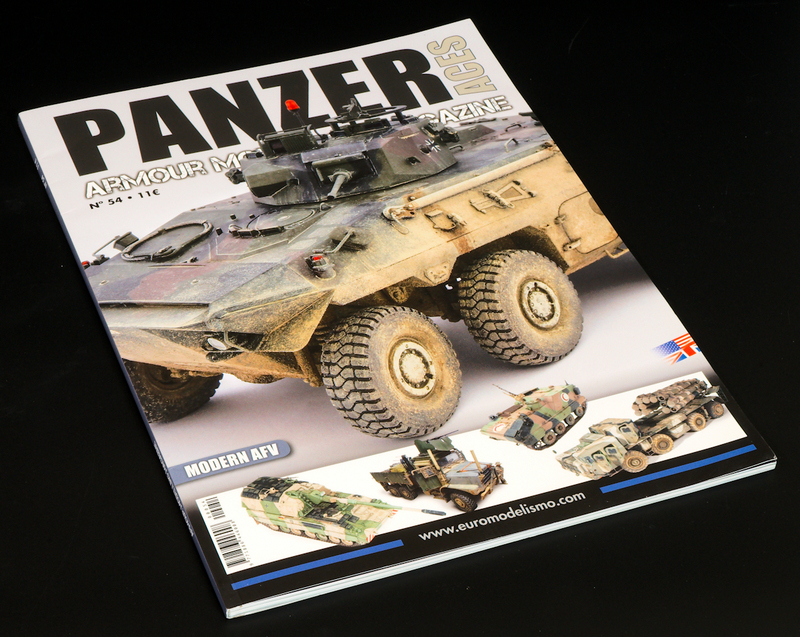 The first article is about Fabrizio Pincelli’s build of Takom’s German Spahpanzer Luchs A2 and starts out with his build of the kit and the improvements he made. The author adds extra details with the Voyager etch set and also DEF Model resin wheels which have the flattened section at the bottom as opposed to the vinyl tyres that come in the box. The painting and weathering is next, and of note is the fact that the author brush paints the camouflage pattern. 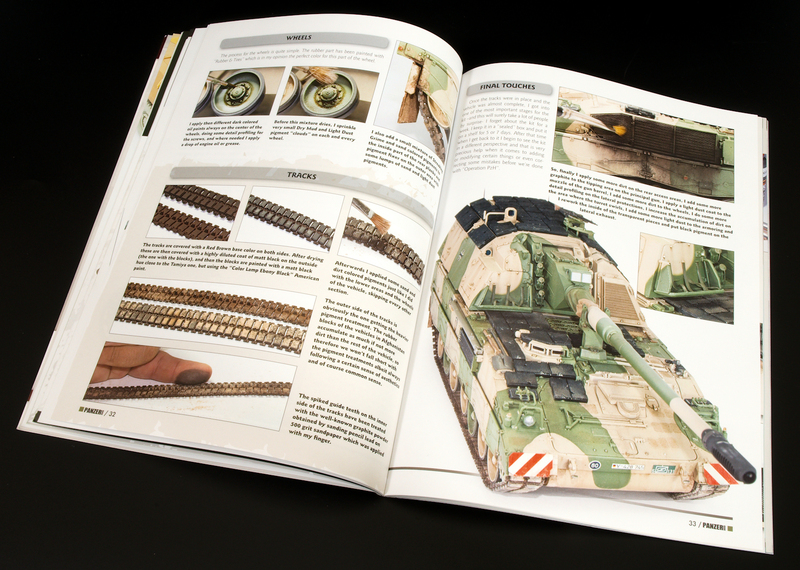 The author uses a mix of enamels and sand to simulate the mud on the vehicle, although it seems a bit too heavy for my liking, and also adds some fuel and oil stains to the mud which doesn’t look right to my eye, but serves as an excellent example for the Ammo enamel which the author has used. 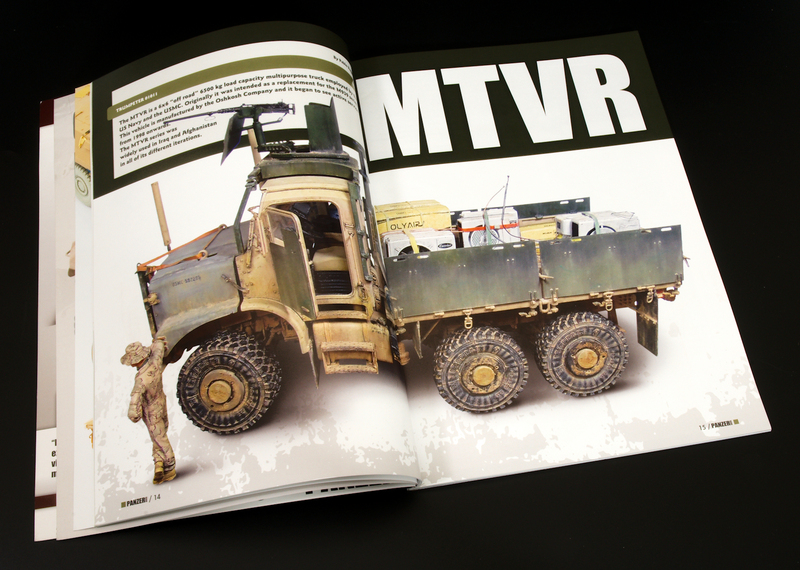 The next article is Pablo Raggi’s build of Trumpeter’s Mk 23 MTVR Cargo Truck which the author has enhanced with a set of Voyager resin wheels and ET Models anti-landmine antenna set. 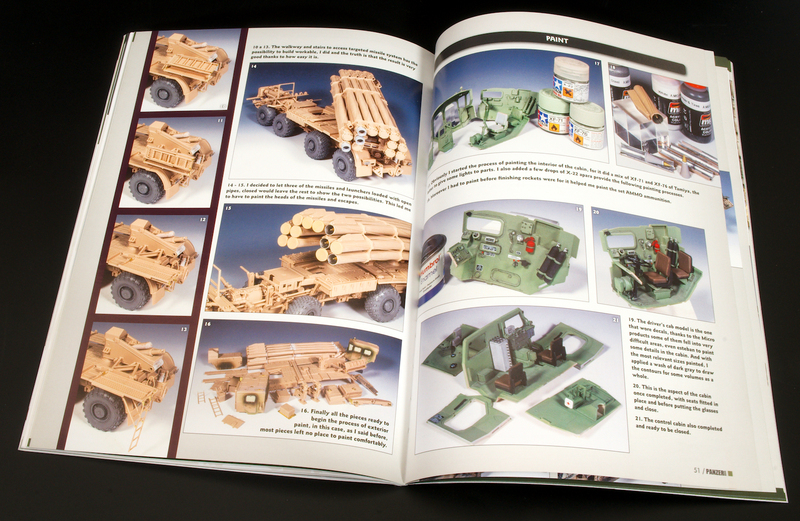 The author also scratch builds some of the weaker details in the kit as well as the machine gun and loaders compartments, and moulds his own air conditioner units which look great on the cargo bed of the truck. 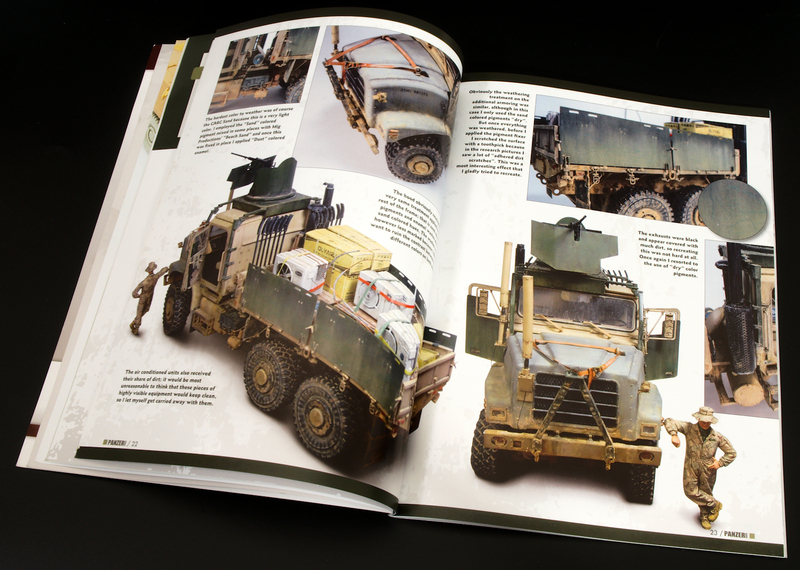 I really liked the painting and weathering of this build and thought it was spot on, although surprisingly, a figure is presented with the truck in the photos, but the article makes no mention of it at all. 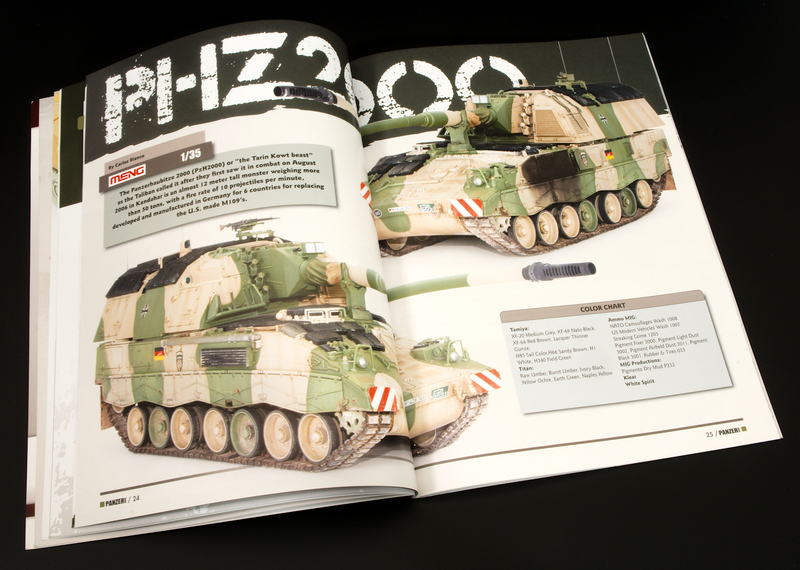 The third article is Carlos Blanco’s model of Meng’s imposing PzH2000 built almost out of the box except for some straps which the author added himself. This article goes more in depth in the painting and weathering of the model with a large amount of pictures showing what the author has done to get to the finish he has achieved. 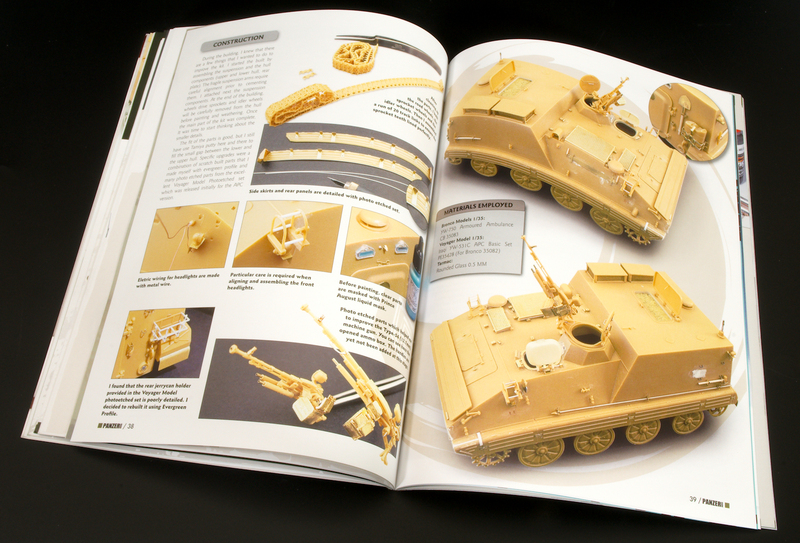 There is also a section showing the steps the author went to for the weathering of the workable tracks included in the kit. 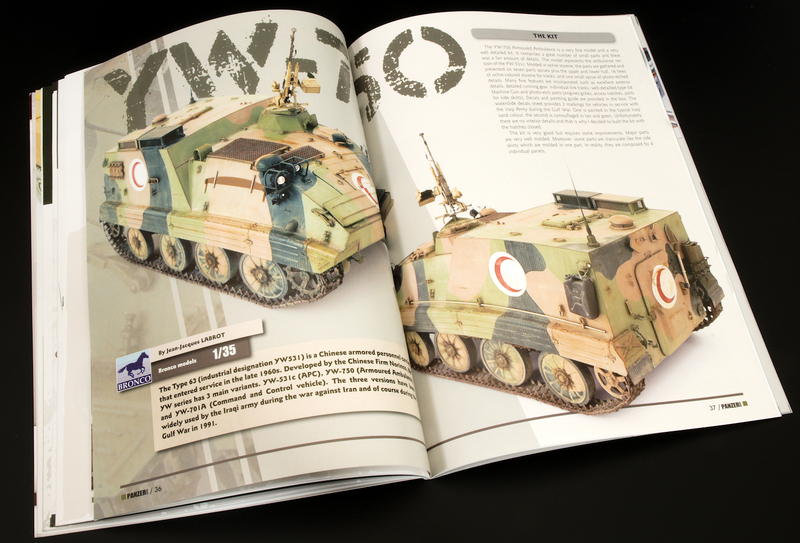 Bronco’s Type 63 YW750 is the armoured ambulance version of the YW531 which is a Chinese Armoured Personnel Carrier, and Jean-Jacques Labrot has modelled his in Iraqi service. 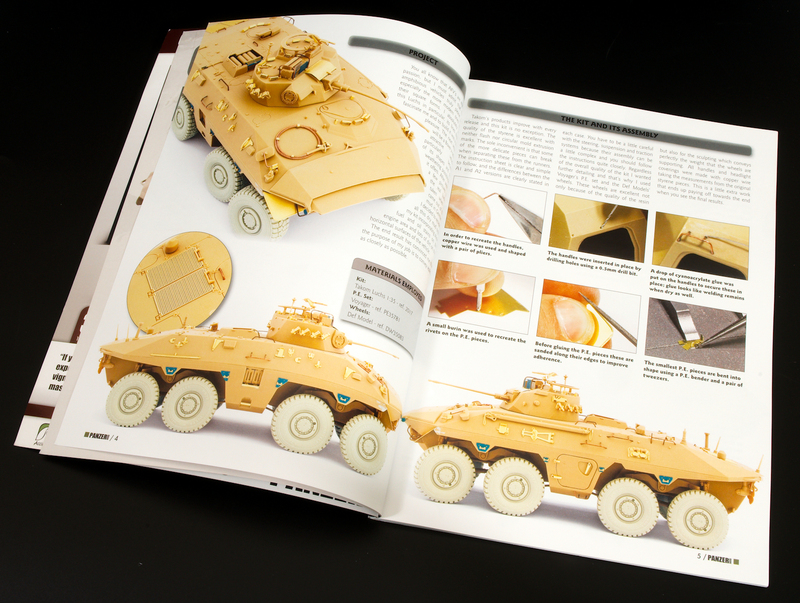 The author has upgraded his kit with the Voyager etch set specifically for the armoured ambulance section, as well as some parts he has scratch built himself. Again, there is a lot more focus on the painting and weathering of this model and I was very impressed by the very subtle surface texture on the model which the author has done a terrific job of bringing them out without overdoing the effects. 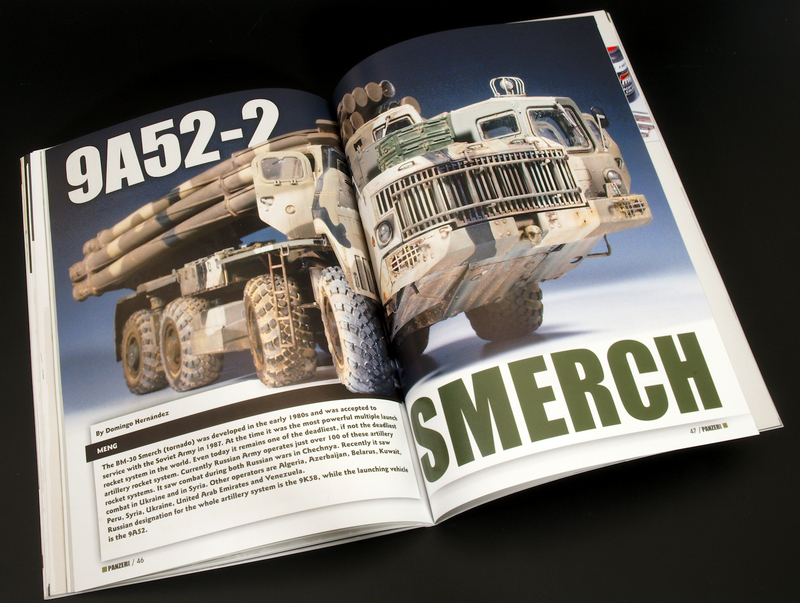 Going back to gargantuan models, we have Domingo Hernández’s build of Meng’s BM-30 Smerch which is built out of the box but with Meng’s own resin wheels for the Smerch. 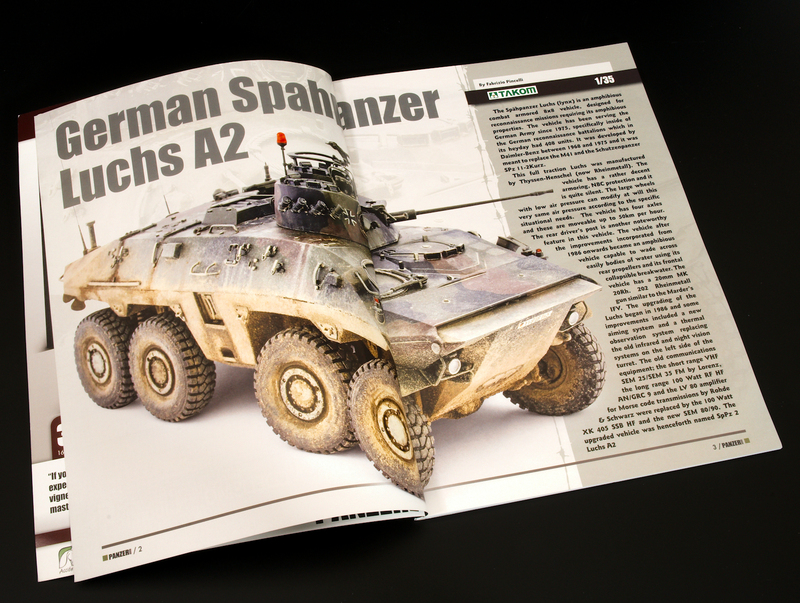 The first portion of the article covers the construction of the vehicle and unsurprisingly there is a fair amount of it with such a large vehicle as well as the interior of the cabin. The article also goes into depth about the painting and weathering of the model and again, I like the effects that the author has achieved. Step 60 shows some ends of the rocket tubes in light blue which appears to be an odd colour, but the text is misprinted in Spanish so I’m not sure if that is complete or not. 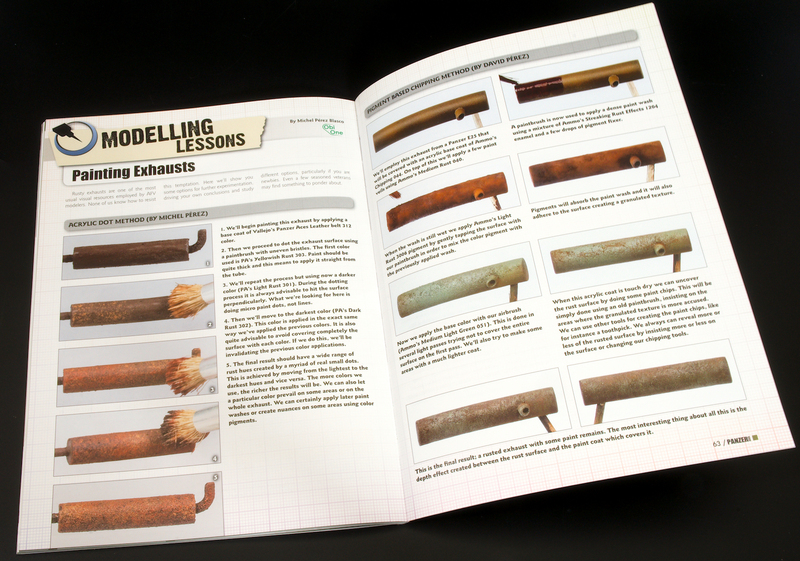 Rounding off issue 54 is a step by step tutorial on painting rusty exhausts and three methods are presented with Michel Pérez presenting the acrylic dot, and acrylic splashing methods, and David Pérez presenting on the pigment based chipping method. All three give very convincing rusty effects, although I think I prefer the finish on David’s pigment based chipping method. 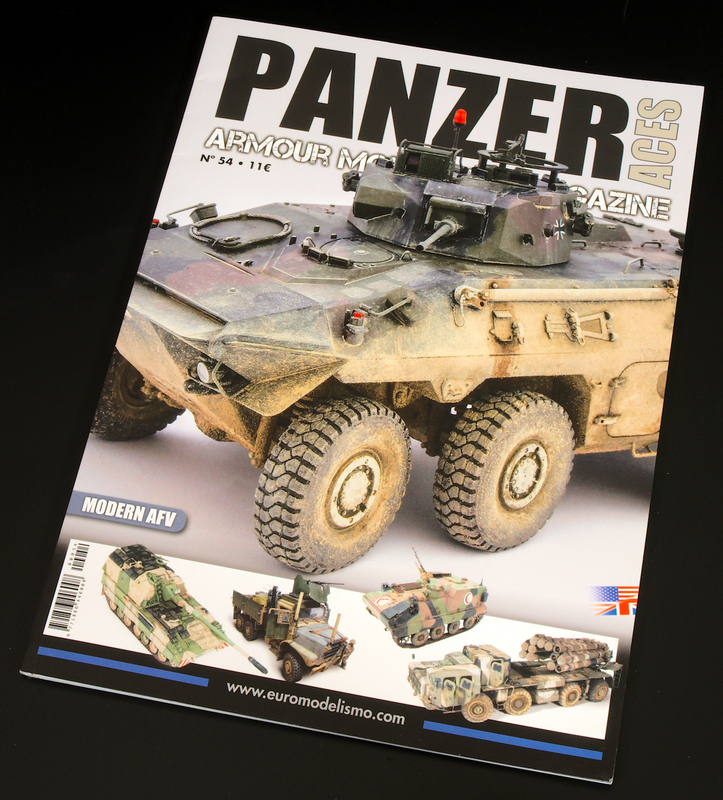 Overall another quality publication with some excellent models on display, especially if modern armour is your thing.